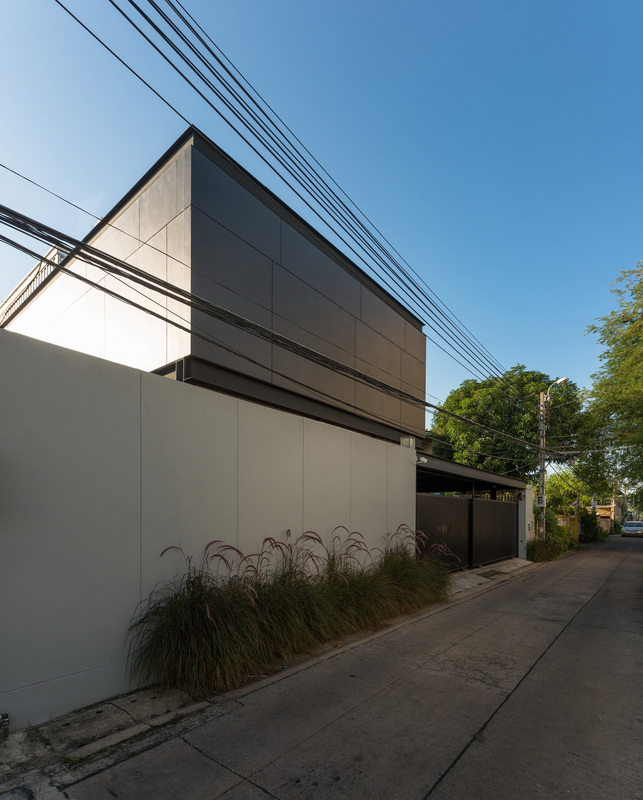 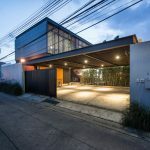 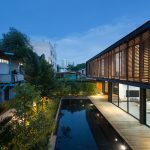 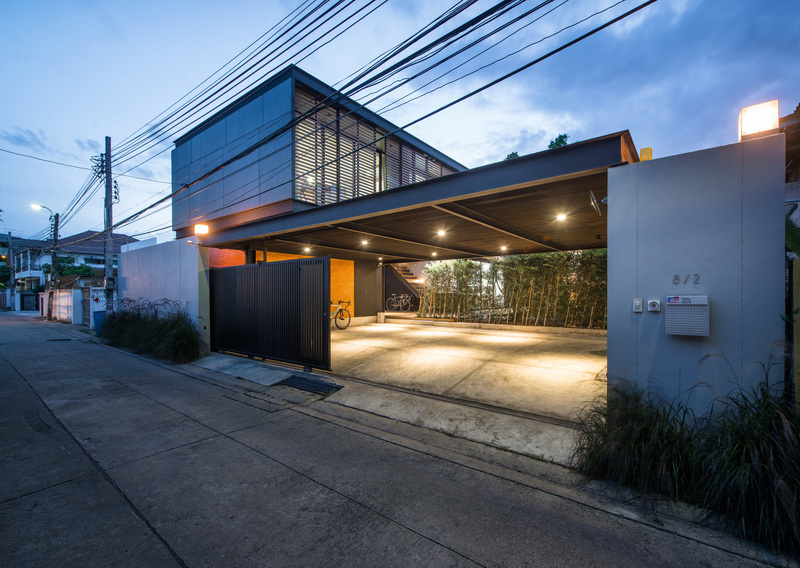 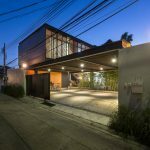 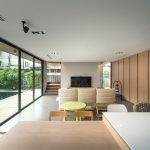 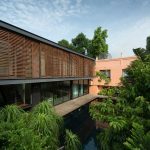 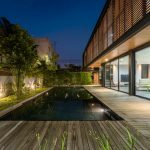 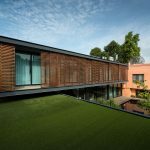 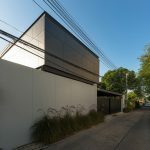 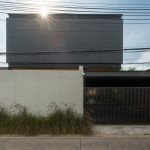 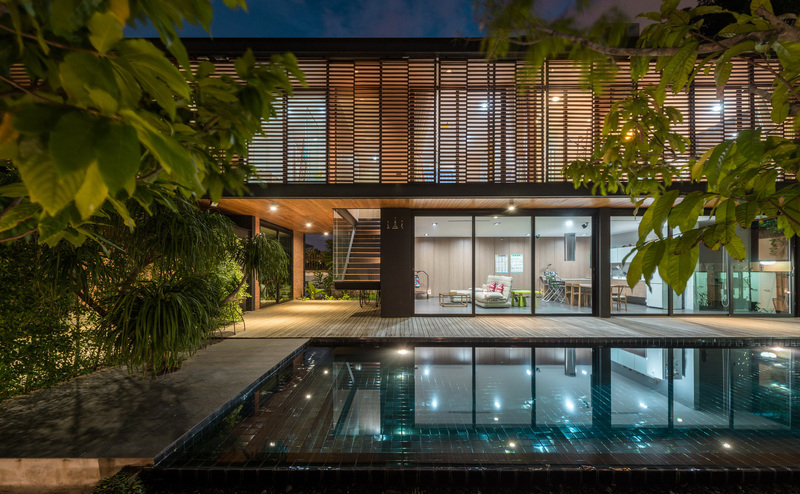 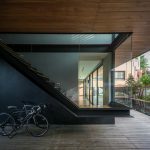 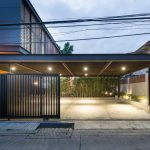 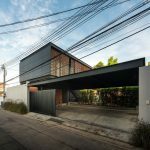 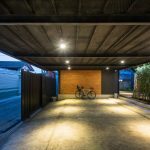 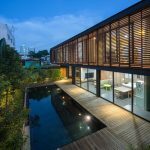 SITE: The U38 house is located on soi Udomsuk 38 Bangkok, Thailand. 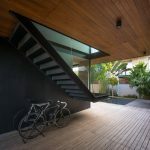 The 400 sq. 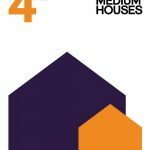 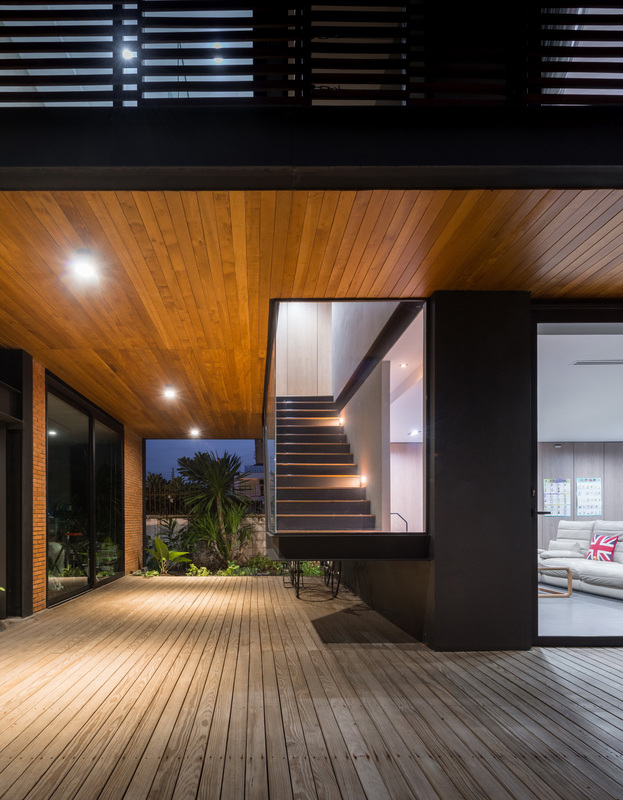 m. house was designed for a couple and a child in the site next to the husband existing family house surrounded by typical suburban houses. 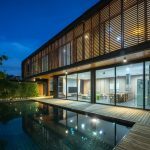 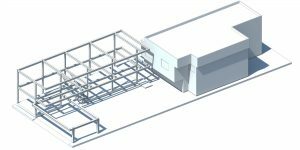 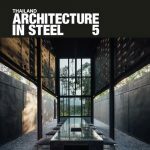 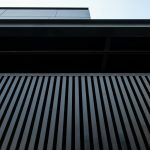 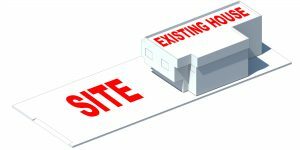 STRUCTURE: Since the owner and also a builder himself need to complete a house within 4 months, architect decided to use very simple steel structure on 6 by 5 meter grid to build it as fast as possible. 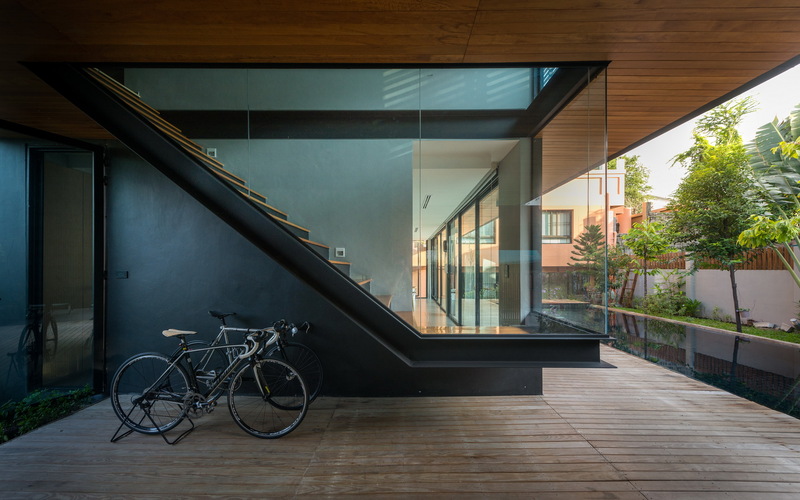 PROGRAM: The program is 2 story house. 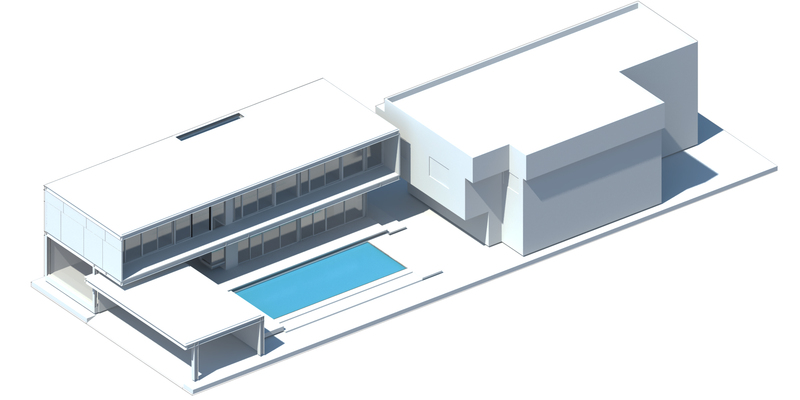 Architect place the building on one side to keep some space for green area & swimming pool with carport at the front. 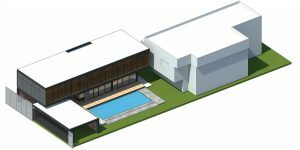 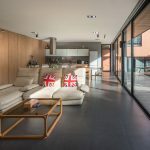 On the ground floor including open plan of living room and dining room which are facing onto swimming pool and outdoor terrace. 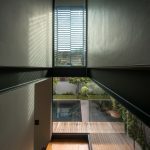 The second floor is composed of master bedroom, son bedroom and family room. 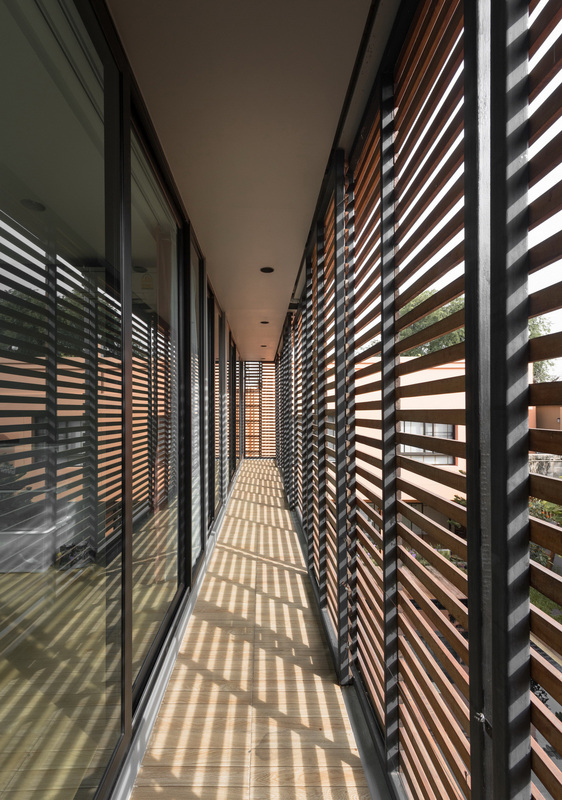 SCREEN: In order to protect Heat from the Tropical climate of South East Asia and creates privacy for the 2nd floor. 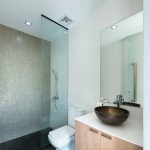 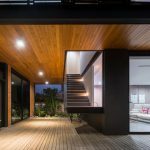 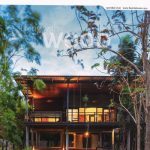 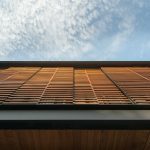 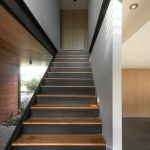 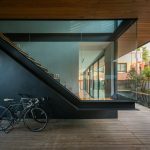 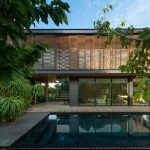 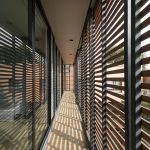 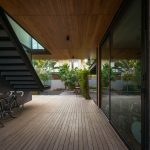 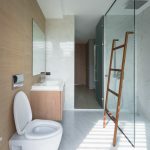 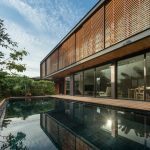 Architect design a long terrace on the side to keep the room from the heat outside and moveable recycles wood skin panels over glass layer for more privacy and heat protection. 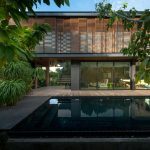 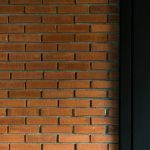 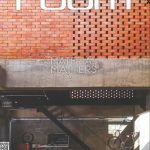 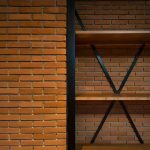 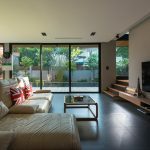 MATERIALS: Architect chose nature material for this house by use steel structure, painted plastered wall and brick wall and wood lattice.